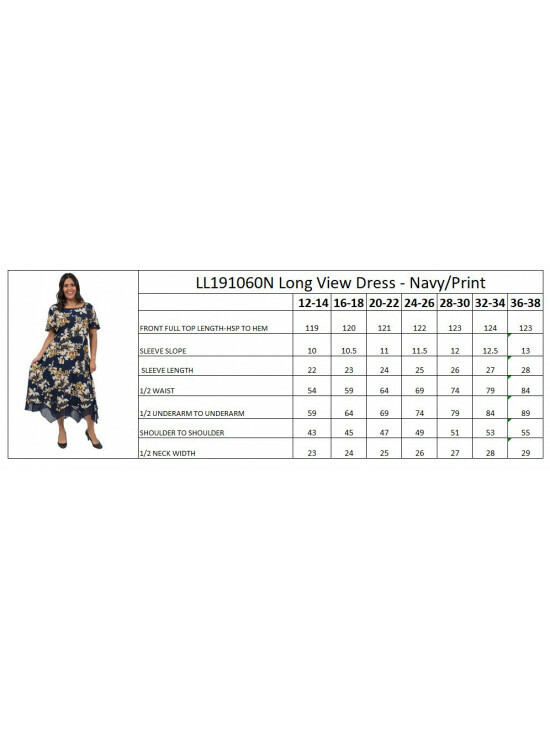 Long View Dress is back! Gorgeous, lightweight plus-size layered dress is a stunning look for any occasion. 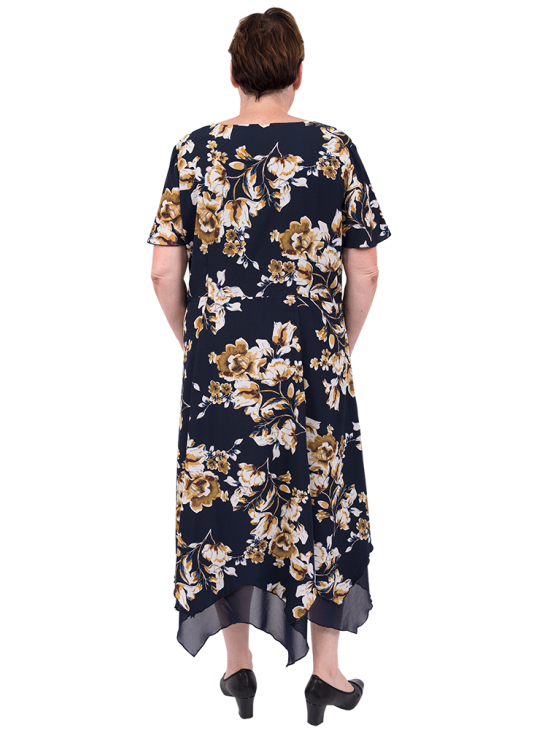 With stylish navy, floral print with square, sweetheart neckline and short belle sleeves, it is lined through the body with a sheer polyester georgette for an elegant layered look that is sure to turn heads. With a flattering princess cut and a zip in the side seam, it features darts from the waist seam to give shape through the body plus with a flared hem and a gorgeous zig zag hemline for a beautiful, flowing drape that is sure to turn heads. This dress has no stretch.